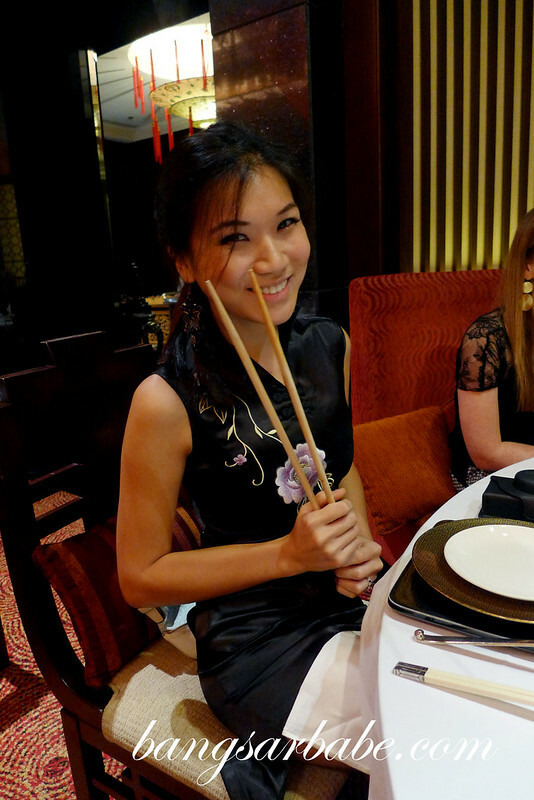 Li Yen at Ritz Carlton and Shanghai in JW Marriott are one the few hotel Chinese restaurants in Kuala Lumpur that serves non-halal dishes and I was invited to sample a few dishes from the Chinese New Year set menus of each restaurant. Dinner started at Li Yen, where we tossed the Prosperity Yee Sang with Abalone. We were given these large chopsticks to toss the yee sang high — the higher the toss, the better the luck. Maybe I should have tossed till the yee sang hits the wall so I get more luck lol! 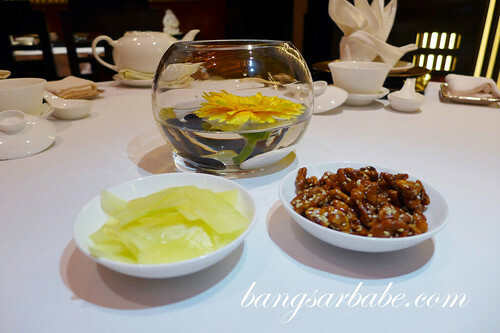 Jokes aside, the abalone slices were smooth and tender, which paired well with the yee sang. We then tucked into a piping hot bowl of Double-boiled Chicken Soup with Dried Scallop and Chinese Cabbage. I love double boiled soups because I believe such soups have double the flavour and double the goodness. Li Yen’s version was exactly that. 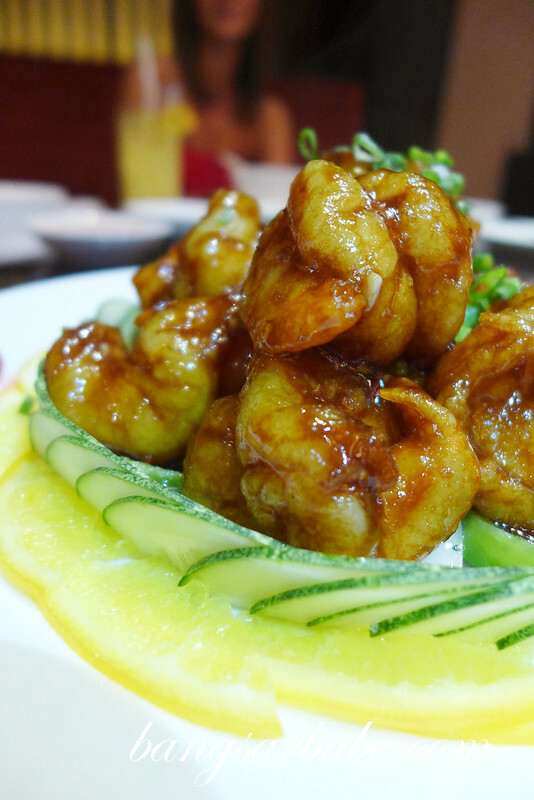 The Stir-fried Prawns with Superior Soy Sauce was also very tasty. Shelled and deveined before cooked, the prawns were succulent and sweet tasting with a crisp texture. I doubt the coating was just superior soy sauce, for it tasted more luxurious than that. 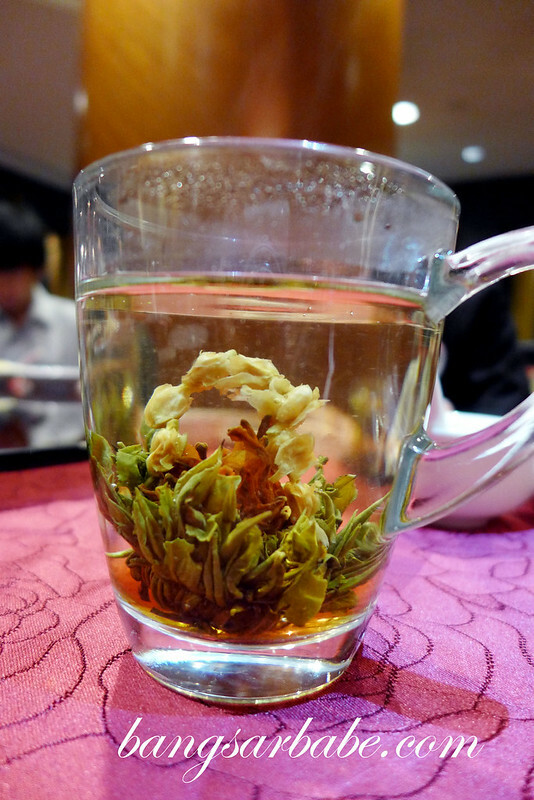 We then walked over to Shanghai at JW Marriot, and tucked into some equally impressive dishes. 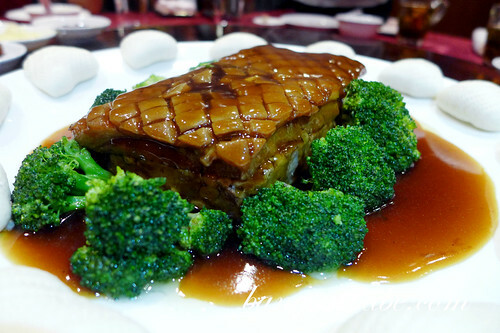 Like the Braised Shanghainese Pork with Prawn Paste, Pine Nuts and Vegetables. This was utterly delicious. The pork was meltingly tender, while the bottom layer of minced pork and nuts gave a nice bite to the overall dish. 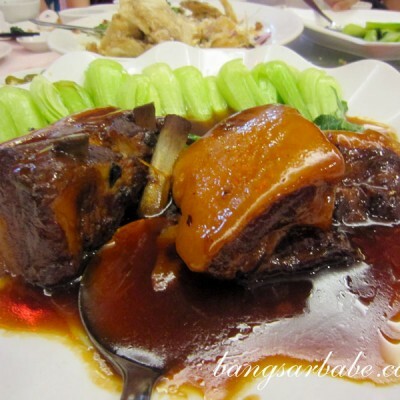 I ate it with steamed mantau bread and swooned. 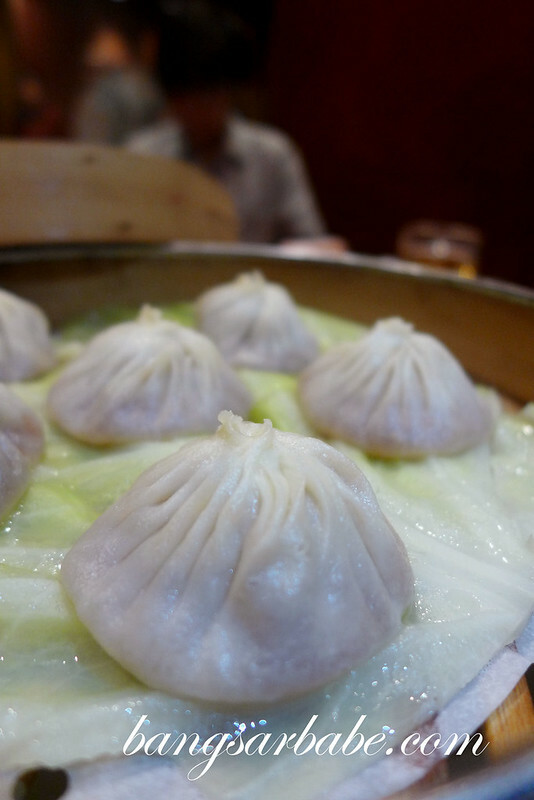 Steamed Shanghainese Meat Dumpling is a specialty at Shanghai, and rightly so. These dainty dumplings contains minced pork and some broth, which oozes out when you bite into them. I added some ginger slivers to mine for some kick. The Pan-fried Glutinous Rice Cakes with Sesame Seeds marked the end of dinner. This was simple yet well executed. 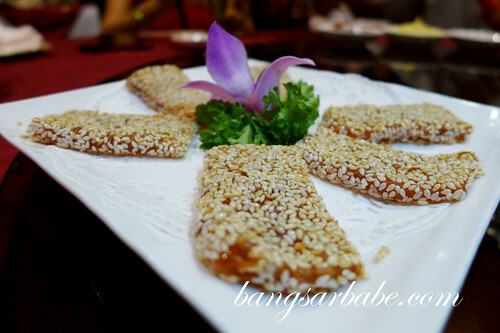 I thought the sesame seeds imparted a lovely aroma and texture to the sticky-soft rice cake. On a whole, I found the food quite good. 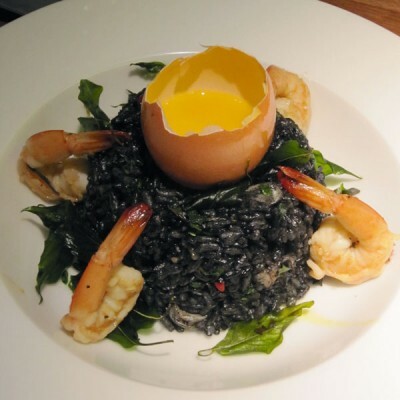 If you’re particular about food quality and presentation, Li Yen and Shanghai would be ideal and they fit both the categories above. So don’t expect huge portions (like your typical Chinese restaurant) for you will be disappointed. 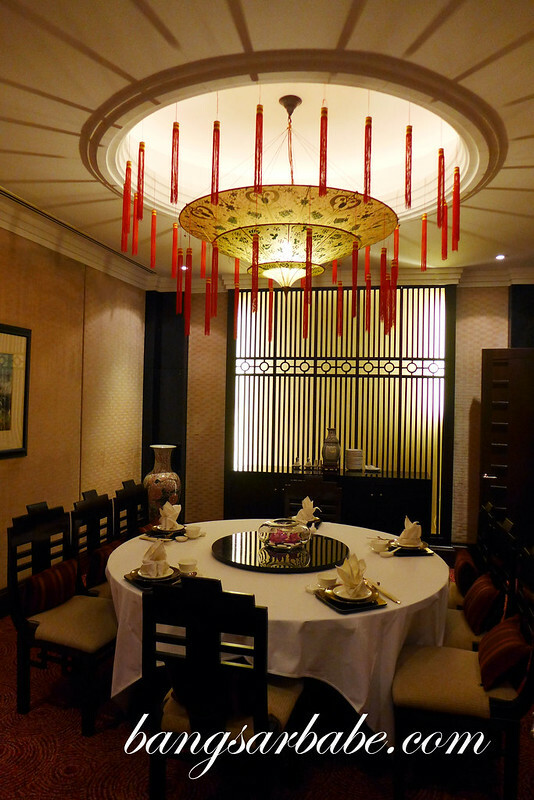 Li Yen offers five special Set Menus for Chinese New Year from RM1388++ to RM4288++ per table for 10 pax, available from 9th January to 24th February 2013. 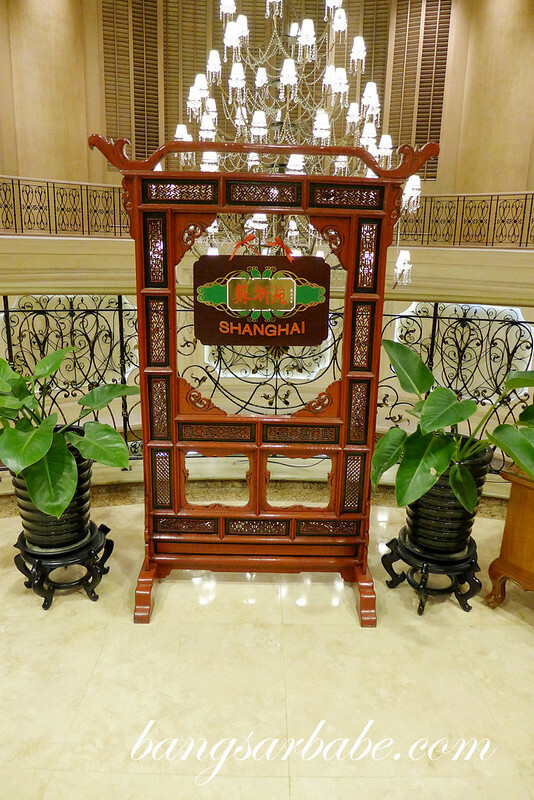 Shanghai offers three Set Menus for Chinese New Year from RM1988++ to RM2888++ per table of 10 pax. Smaller groups can opt for the Prosperity Menu at RM188++ per person. I think I’d be happy to have the whole plate! Your black cheongsam is cool and it looks great on you!